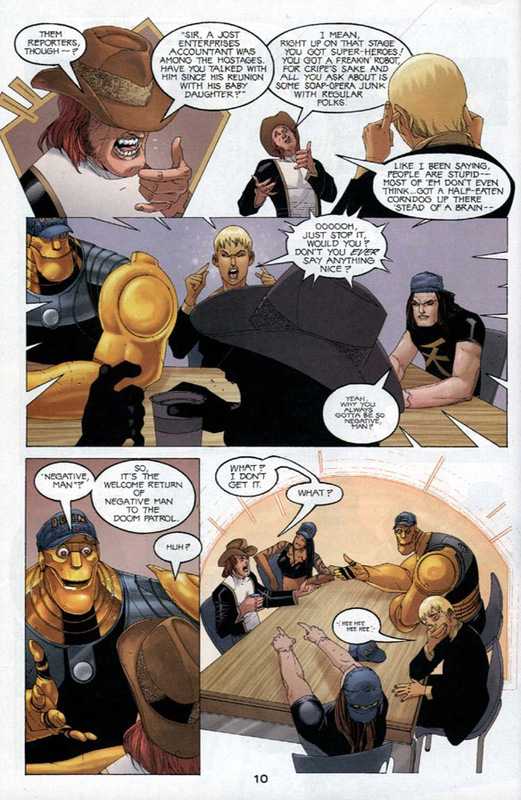 Doom Patrol: Waiting for Doom Episode 67: 4/5ths All New, All Different…OR Justice, Inc. For All! 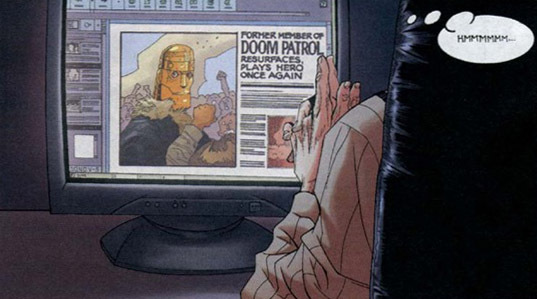 Waiting for Doom Episode 67: 4/5ths All New, All Different…OR Justice, Inc. For All! John Arcudi! Tan Eng Huat! Bob Lappan! Dave Stewart! But those aren't the 4/5ths that are new! Nosir! 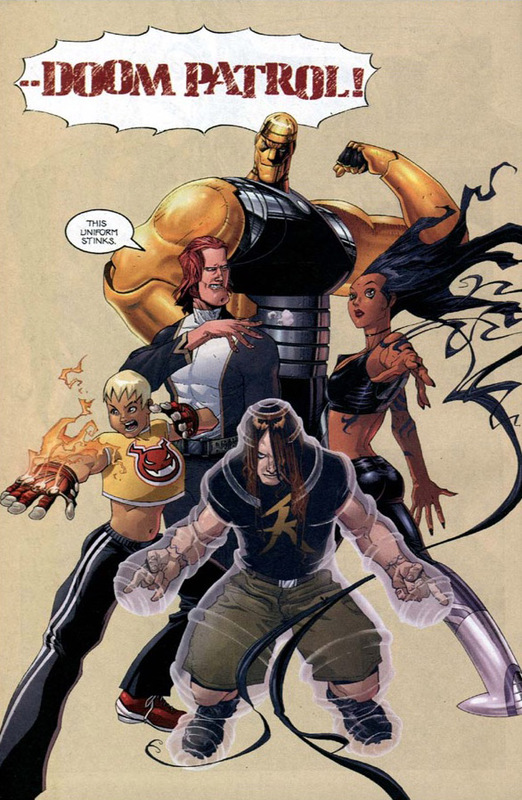 After another run-in with those accursed Tech-Gods, we're back for more Doom Patrol-related shenanigans and madness (WINK!)! Plus we take our first steps into some new Patrol territory this episode, so LET'S GET PATROLLING!! 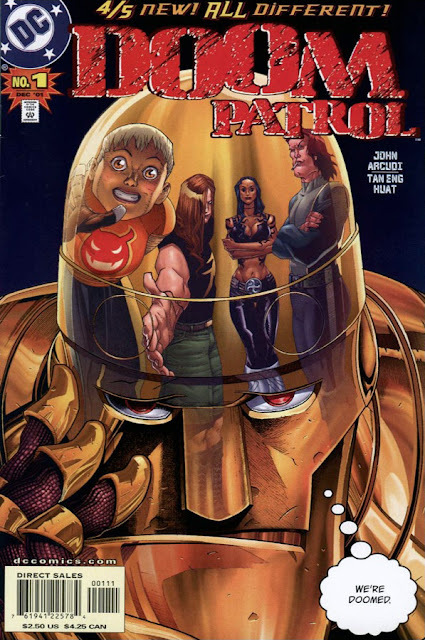 Doomsplaining - 16:33 - this week we look at the first two issues of Doom Patrol volume 3, from John Arcudi and Tan Eng Huat!! Mailbag O Doom - 54:45 - We read your responses to the question, "What's your favourite comic book accessory?" The new team in training. Not the Doom Patrol. At least not yet. Tan Eng Huat proves his worthiness on this title right away. Hmmmmmm. . . indeed. And knowing what we know now. 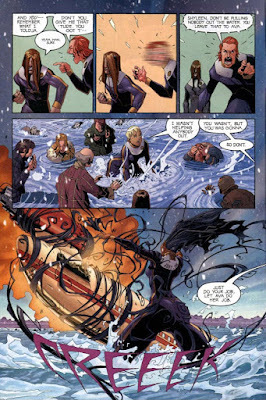 . .
Farr & Away: The Rita Farr-est panel of this issue. Cliff meets the new team. . . .and so do we. 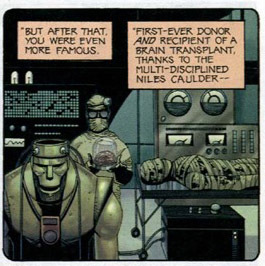 The debut of an all-new Negative Man. It wasn't much longer that I gave up on this one as well. This run didn't hold my attention for very long. I had two kids under four, which limited my time and budget.. I liked Huat's work, but it just wasn't enough of a Doom Patrol comic at the time. I don't recall specifically what I was buying instead, but this one just didn't hit me at the time. Looking back at it (I have since purchased the run), it seems like it's pitched right to my sweet spot tho. 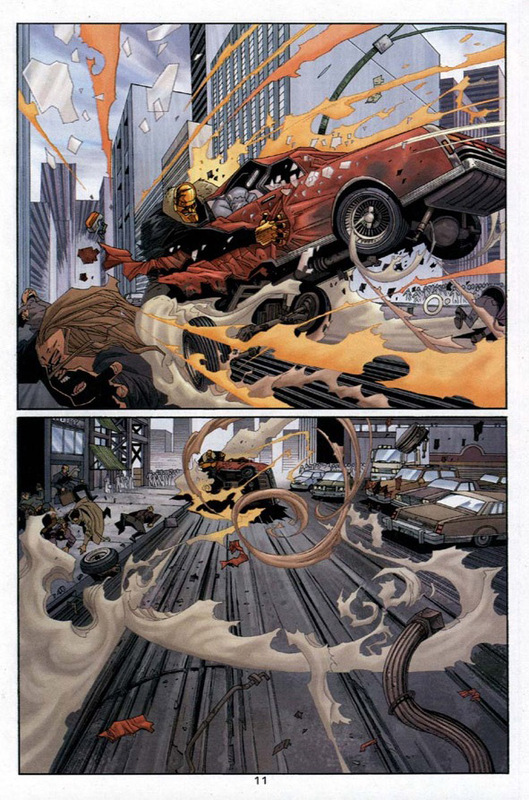 That said, I'll be experiencing parts of this for the first time alongside you, gentle reader/listener/blog-viewer. Here's the link for this episode via Comicosity. As for the question of the week, well, here it is. Who's your favorite made-up spy person? Next episode checks back in with the Brotherhood of Dada! They were consecutive posts, so you can click on the first or last link and follow the 'newer' or 'older' functions below each post. There were also some post-Crisis "retro" stories that took place during that period, but that's another matter. Thanks so much that knowledge drop Scott. Your blog is amazing. 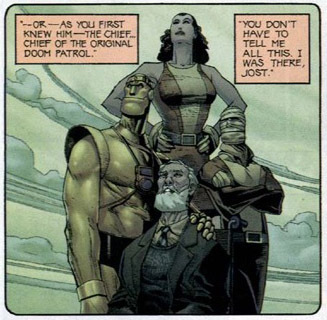 People like you and Doug humbly remind me how Mike and I aren't the experts on Doom Patrol, just the latest at the podium. A new place to communicate! Thanks for posting some pages here Doug. 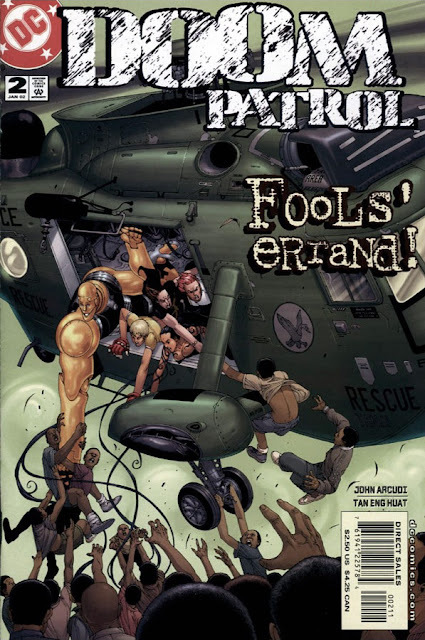 I never bought any of this run (and still haven't) so I am definitely living vicariously through the podcast and blog. For me, I think I was so turned off by Pollak and so enamored of Morrison that I was afraid to pick up another run of the team. Interestingly enough, whether it is due to time or creators I trusted, I was on board from the beginning of the Giffen/Clark run. This does sound fun. Glad Paul talked about the Max Lord similarity and difference because I was thinking of that all the way. Looks like I'll need to start searching anew in the dollar boxes for this run. I do like the art. Visually wild and engaging. As for QOTW, I have to give answers per medium. 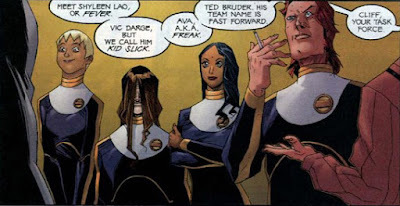 4) Comics - King Faraday. Love that guy. I suppose that Nemesis is a close second. Thanks for great show and covering this run!